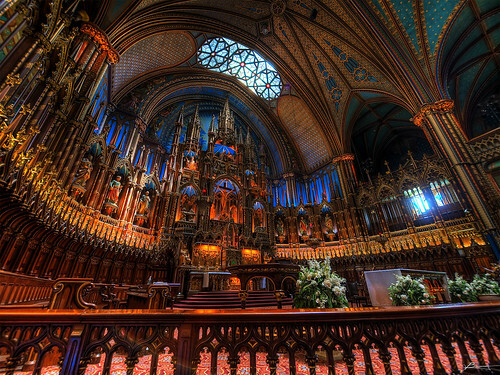 One of Montreal's most impressive historical sites is the Basilica of Notre-Dame. 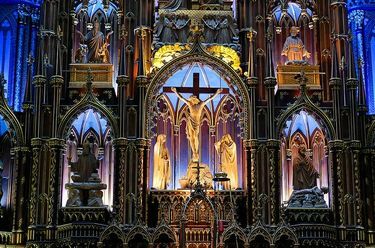 Referred to as a masterpiece of Gothic Revival architecture, both the outside and inside of the Basilica are displays of architectural ingenuity. 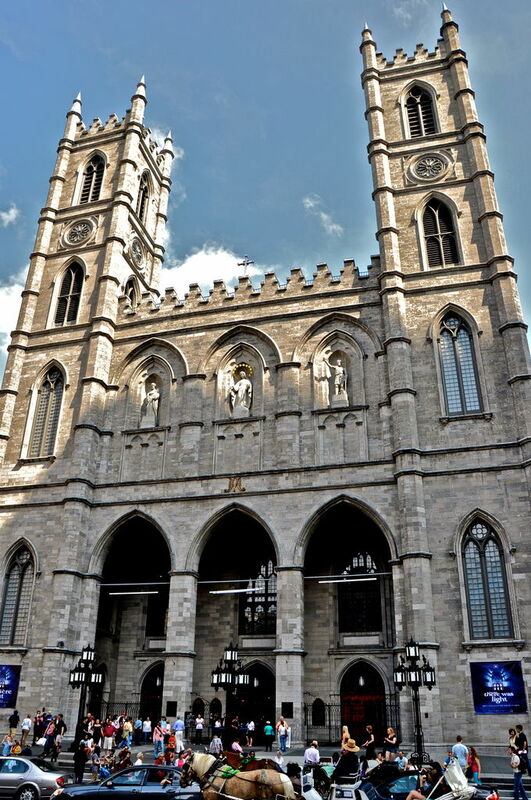 The Basilica built between 1824-1829 is the work of James O'Donnell an architect from New York and then later (1870-1900) Cure' Victor Rousselot and Victor Bourgeau. When standing outside the Basilica looking up you will see the twin towers looming over you in all their majesty. The western tower is called 'Perseverance' and the eastern tower called 'Temperance'. Each tower is home to the church bells of the Basilica. Perseverance houses the great bell nick-named 'Jean- Baptiste' whilst Temperance houses 10 smaller bells. 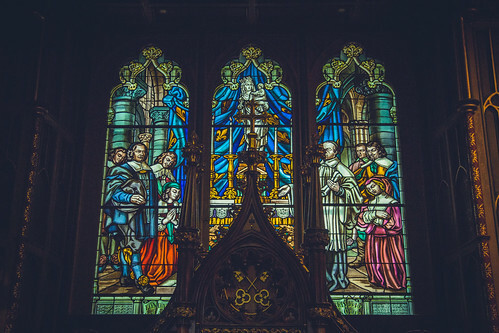 The inside of the Basilica is impressive with stained glass windows, vaulted ceilings, sculptures, statues and paintings. 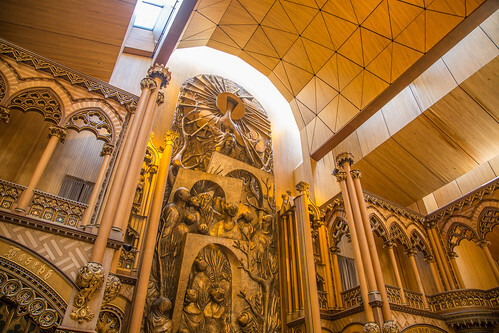 But what is even more impressive are the fine details which have gone into creating the Gothic style of the church. The columns, the organ, the church pews, the banisters, the pulpit and the altarpiece are all meticulously and beautifully crafted. The use of rich colours makes one feel as if you are in a spring garden or in some heavenly realm. At night time you can also experience a sound and light show within the Basilica which is bound to make your experience even more so memorable. 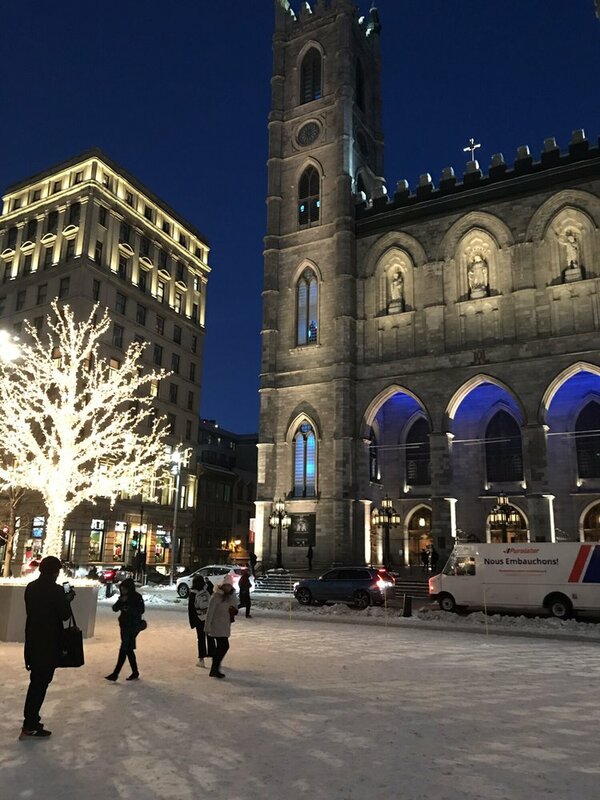 In addition to the sound and light show, the Basilica of Notre-Dame also hosts many concerts by various orchestras and other music groups. 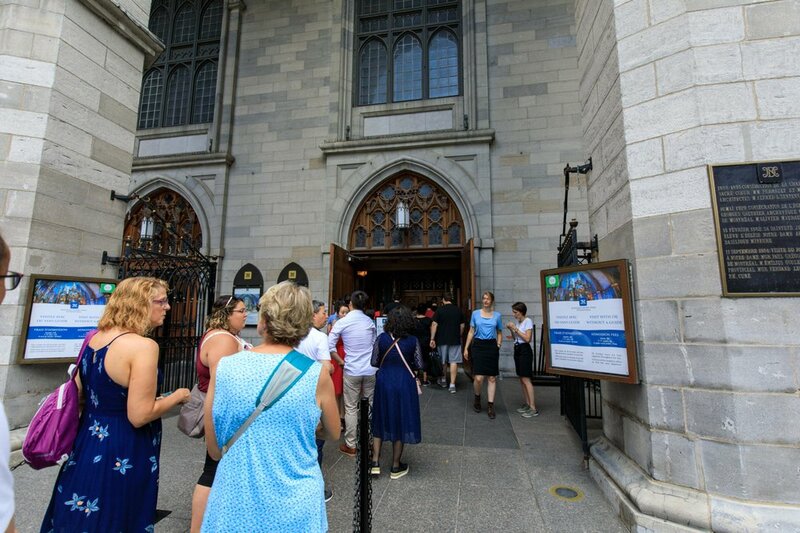 Admission to these concerts does vary from the admission to the actual Basilica, so be sure to check the website for more details on admission for the concerts. In order to be able to truly experience the majesty of a service at the Basilica, one must attend one of the religious events held there. The traditional organ is played and a traditional church choir leads the worship. 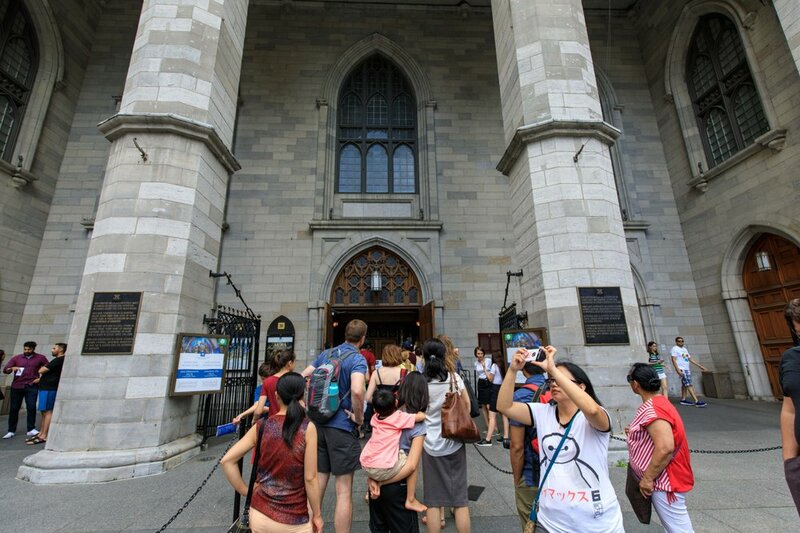 To get a true sense of the history of Montreal you have to visit the basilica for what would a visit to a French city in Canada be without a visit to its Sacré-Cœur. Fee: Various admission fees apply, see the website for the full fee schedule. By Metro: Take Metro Line 2 to Place-d'Armes; exit and go right (south) on St. Urbain Street. You will see the Basilica straight ahead as you approach. 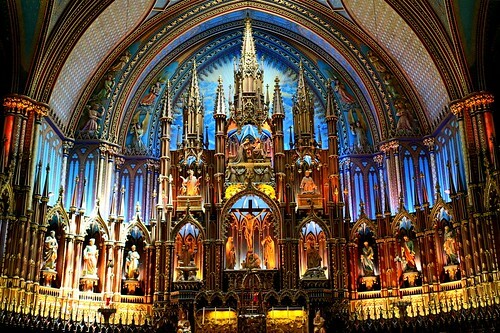 This video taken durning a light show at the Notre Dame Basilca shows off some of its amazing beauty and detail.